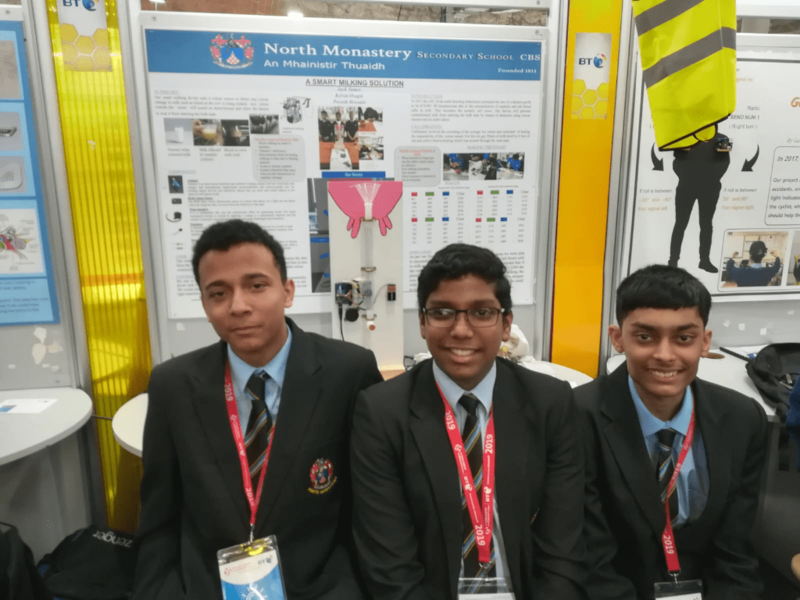 The North Monastery CBS was the proud recipient of three awards at the BTYSE competition held in the RDS, last week. 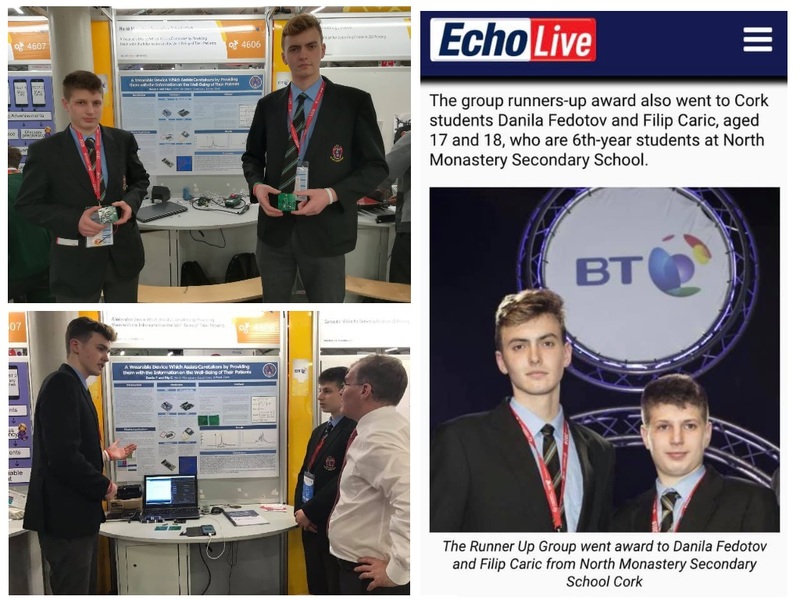 The projects developed by the students were based on an Electronic Engineering theme, which requires a clear understanding of the scientific principles behind the execution of their projects. Therefore a practical knowledge of physics, electronics, and mathematics was a prerequisite in progressing with the work involved. The Mon has always had a proud history in the teaching of the STEM subjects. Many of the past students have taken up positions of power and influence in technology and are leaders in academia throughout the world. This proud tradition will continue to flourish under the guidance of our excellent teachers and students. Danila Fedotov and Filip Caric (Runner up Group). Mentor teacher Mr. Murphy. Project Title: A Wearable Device Which Assists Caretakers By Providing Them With The Information On The Well-Being of Their Patients. 2. 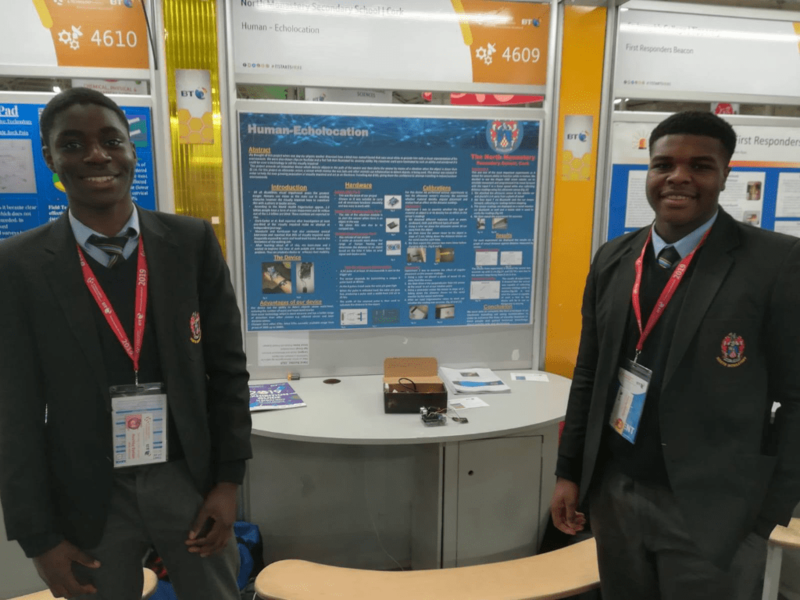 Ashley Okoro and Elvis Nzekwe (Award winner in the Senior Technology Category). Mentor teacher Mr. Murphy. 3. Jordan Woodgate, Brian Prout and Paul Sunday (Highly commended). Mentor teacher Mr. Murphy. 4. 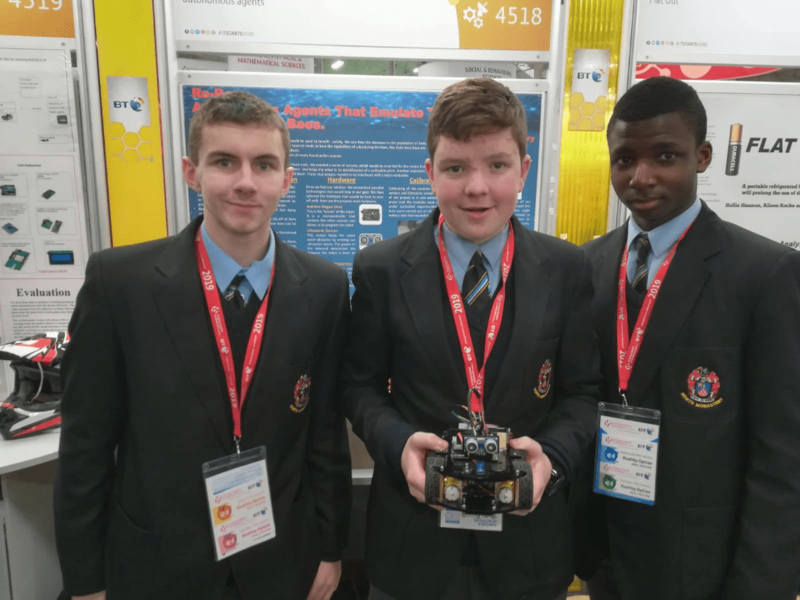 Kelvin Osagie, Jack James Chakkalackal, and Parash Hossain. Mentor teacher Mr. Ruby. Project Title: A Smart Milking Solution. 5. Cian Boland and Jamie Hourigan. Mentor teacher Mr. Ruby. Project Title: Colour Assisted Technology. 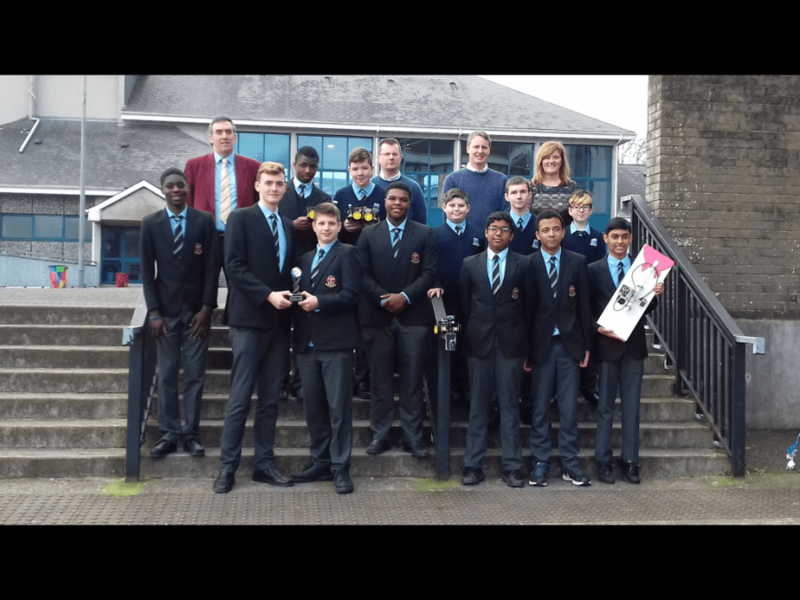 All twelve students did their school splendidly and articulated their projects in a clear and systematic way to the judges appraising their work and to the general public visiting the RDS. 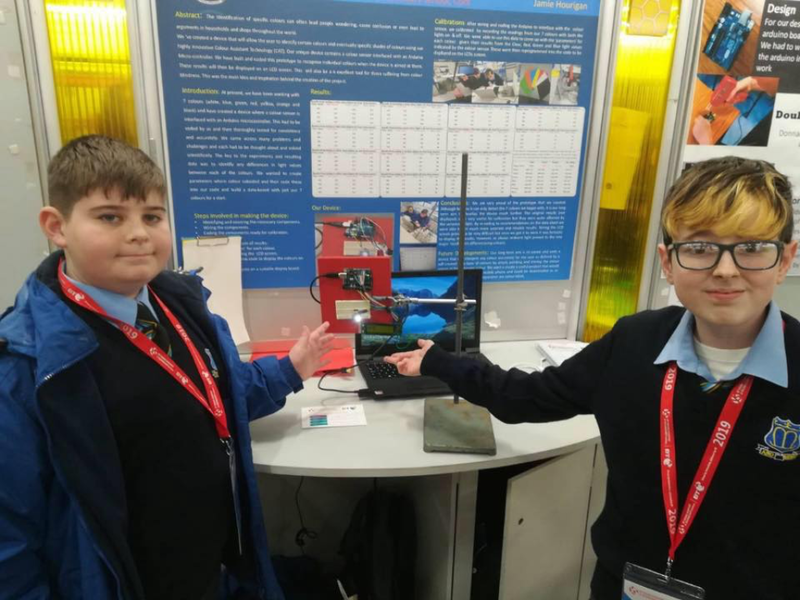 This was a great opportunity for all the students involved to tune their communication skills in describing the projects in a technical fashion. This will stand to them not only in school but in 3rd level and their future careers. Many thanks for all the teachers that supervised the students in the RDS, Ms. Walsh, Mr. Ruby, Mr. Murphy, and Principal Ms. O’Sullivan. We would also like to thank Litho Circuits for producing the Printed Circuit Board (PCB) for our electronic design.